Are you dreaming of long summer evenings and family barbeques? Then why not get organised and have that patio that you have always wanted by calling in the paving experts at M&B Paving. We have been installing patios in your area for over 25 years and we offer a free planning and design service for all customers who live in Bromley, Romford, Billericay, Chelmsford, Harlow, Welwyn Garden City, St Albans, Watford, Harrow, Richmond, Twickenham and all surrounding areas. 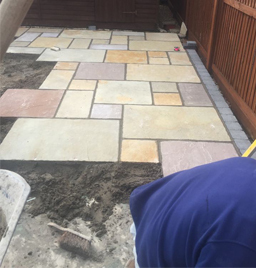 Our high quality patio stones come in different colours, sizes and textures and we can help and advise you on what would look best for your property and what would best suit your family´s use of it and your budget. 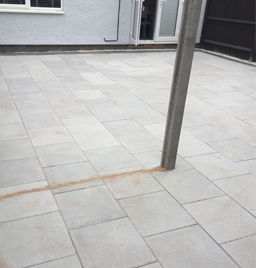 Our team will be more than happy to help you with the finishing touches to your patio such as brick walling, lighting and steps and can advise you accordingly on the materials that are available to you on the market today. Our well designed and built patios add value to any property and instant kerb appeal too. 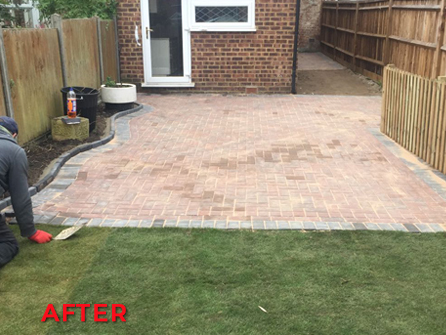 Offering a patio maintenance, repair and jetwashing service, we have the expertise to restore an existing patio to its former glory and one that you will be proud to show off to your family, friends and neighbours. 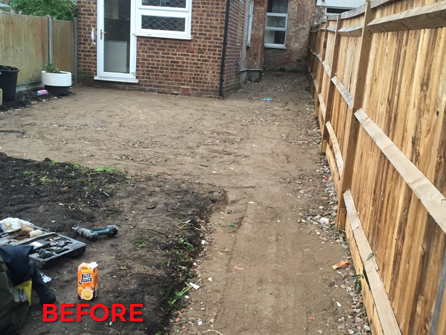 All of our garden patios are fully guaranteed and we do not require a deposit before we get started. 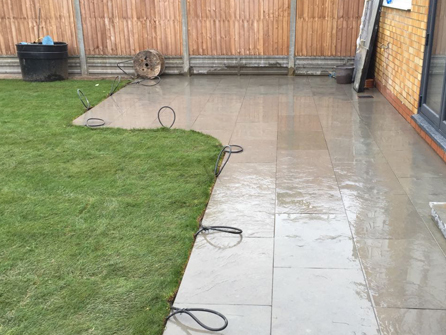 So, if you are looking for that perfect patio to be installed ready for summer, look no further than calling our family run team on either London 020 8485 9509 or Hertfordshire 01992 879702, we are waiting to answer your call.